Commander Lewis was standing with his hands behind his back facing the immensity of the interstellar void when Perkins, his comm officer at the Odyssey command station, burst into the room. “I’m listening to you Perkins,” the old man added, without even turning around. “My commander, here is the report of the day. The first contingent of settlers was sent today to Bose from the space gate in Zone E. They were able to settle on primary and secondary spots of the exoplanet, including a predominance spot. The construction of a space gate to Planck will begin in our space station but we risk being preceded by the Brotherhood Centaurus for the first convoy. – Your suggestions for the future? – New recruits should be sent to the station to replace the recent settlers sent to Fermi and Bose. The construction of a new airlock module in Area B would also speed up the sending of settlers to Susskind. – Well. Do so. And get a robot if possible. We need to increase our action capacity in the command station. 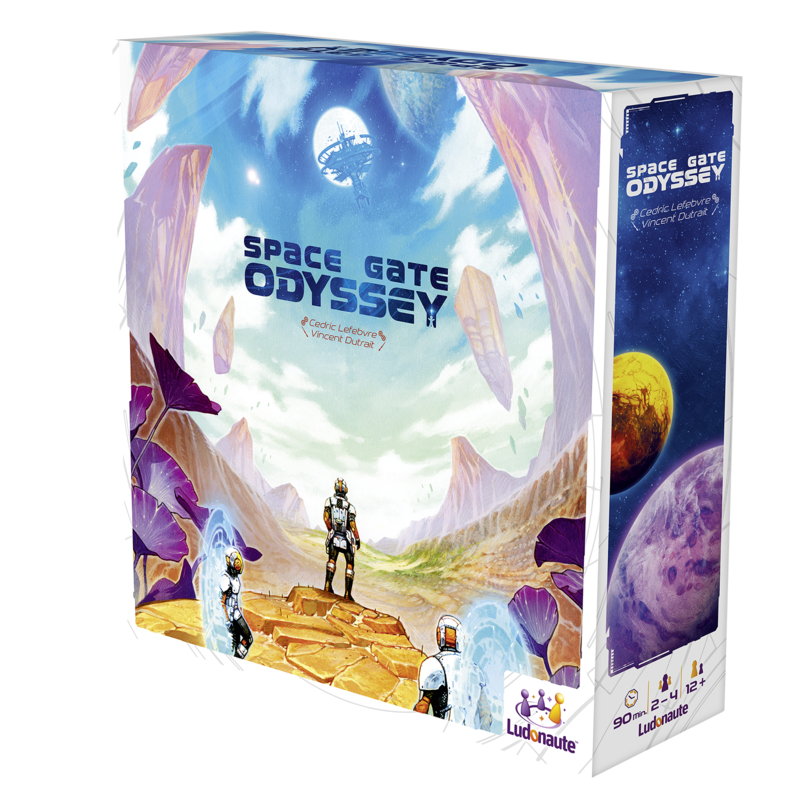 The future of Humanity awaits you in Space Gate Odyssey. A system of viable exoplanets has been recently discovered and the Confederations are flocking into space to colonize it. 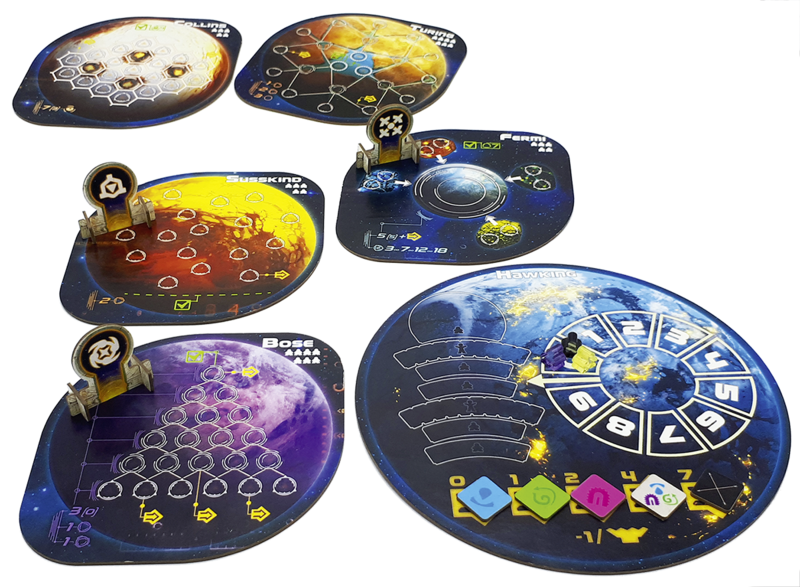 In this 2 to 4-player development and flow management board game, you play the leader of one of these Confederations and play your influence in the Odyssey command station to send as many of your settlers as you can on these exoplanets. After decades of research and technological development, Humanity is preparing to leave the Earth to colonize the discovered system. To get there, there is only one possible means of transport: space gates. For reasons related to physics and other quantum aspects, these gates can only be built in space. The Confederations have therefore embarked on the construction of their own station in orbit, equipped with space gates. At the beginning of the colonizing era, these portals make it possible to go on one of the 3 first discovered planets. As soon as an entire contingent of settlers has joined the gate of a space station, it is teleported to the corresponding exoplanet. 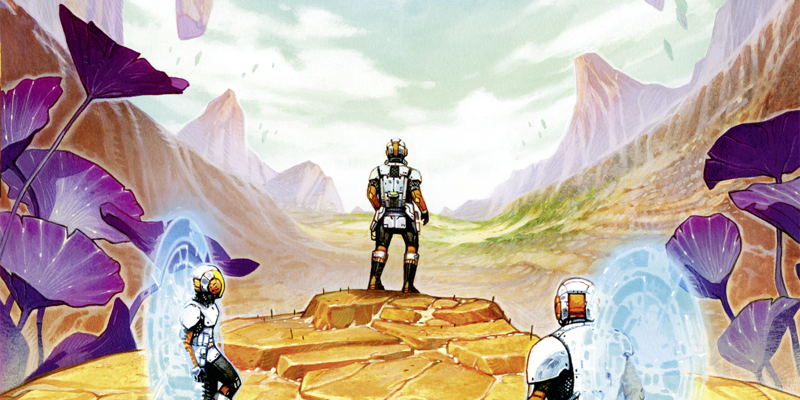 The landing conditions vary according to the planets and the choice of colonized spots quickly becomes strategic. As soon as one of the 3 exoplanets is fully colonized, each Confederation gains influence according to its placement. The access to one of the 2 later discovered exoplanets becomes possible. At the end of the colonization of the five exoplanets, the stations are teleported to the Hawking planet and the influence of each Confederation is assessed. The leader of the most influential Confederation will be promoted to the rank of Governor of this new system. 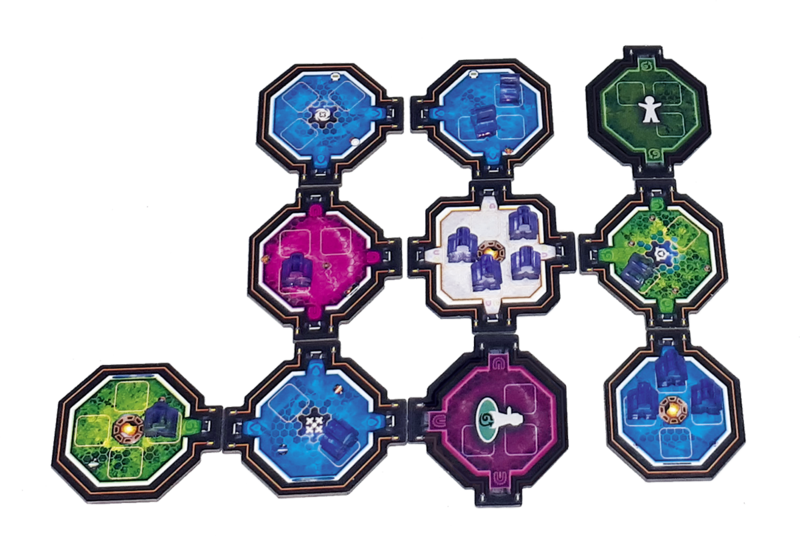 One of the biggest challenges in Space Gate Odyssey is your ability to quickly develop and intelligently arrange your space station. The best you optimize the flow of your settlers to your station, then to the exoplanets, the more of them you can send to the favorable spots and thus gain Influence. The choice of the modules, their arrangement, the distance between the airlocks and the gates are therefore essential elements. Especially since, at the end of the game, the domains of the Modules you used to build your station will bring you additional Influence points, if they are in line with the position of the domains on the Hawking planet Predominance. Finally, you must be careful not to leave too many open corridors on the space void: this represents a real danger for your Settlers and could therefore damage your reputation. Decide on your destiny and claim your title of Governor in Space Gate Odyssey, which should arrive during the 1st quarter of 2019!